A typical house arrangement, complete with builds, drops and a breakdown. House music has been fuelling dancefloors across the world for around 25 years now. It might have gained a greater foothold in the public consciousness in some countries than others, but very few areas of the developed world have been left completely untouched, and its techniques have fuelled countless other genres thanks to the cross-pollination of sounds and methodology. Below you'll find 14 tips that should help you to improve your house productions - they cover editing, processing, mixing and mastering. For a complete guide to creating house in 2009, check out the Autumn issue of Computer Music (CM144) which is on sale now. A good way to achieve a more old-school vibe is to use just one reverb on a bus, rather than putting a different one on each channel, as the former creates a more cohesive sound reminiscent of early house tracks, when there were less effects units available to the average producer. Always be sure to EQ as much bass off your parts as possible without affecting the sound of them within the context of the full mix, as this creates a lot more space for your all-important bassline and kick drum, keeping the overall groove clean, tidy and punchy. This will pay off as you incorporate more and more parts. Most dance music producers today create and mix their tracks with a compressor or limiter placed on the master output. This helps gel the elements together and gives a better impression of how the track will sound when finished, particularly as many of the elements will be from disparate sources. We're talking 2-3dB of attenuation at most. When multiple similar elements hit at exactly the same time (claps and snares, for example) - particularly if one of those elements is a kick - try nudging one of them slightly forward using channel delay to give a more exciting and natural sound. This is one of the reasons it pays to keep your different percussive parts on separate channels. It's tempting to keep your beats looping over just one bar, but you should aim to generate variations over longer periods - be that two, four or eight bars. The variations can be short fills, removed notes, reversed effects or just about anything else that reinforces the sense of pushing the groove back to the start of a perceived loop. 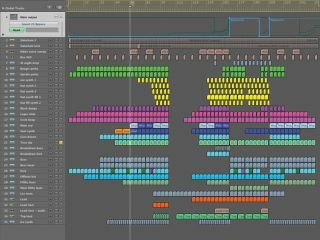 While your DAW makes it very easy to place audio samples directly into your arrangement, audio tracks offer much less customisation and sound-shaping functionality than samplers. Even functions like envelopes, timing and tuning, which can now often be accessed with audio clips, are still much more quickly adjusted in a sampler. 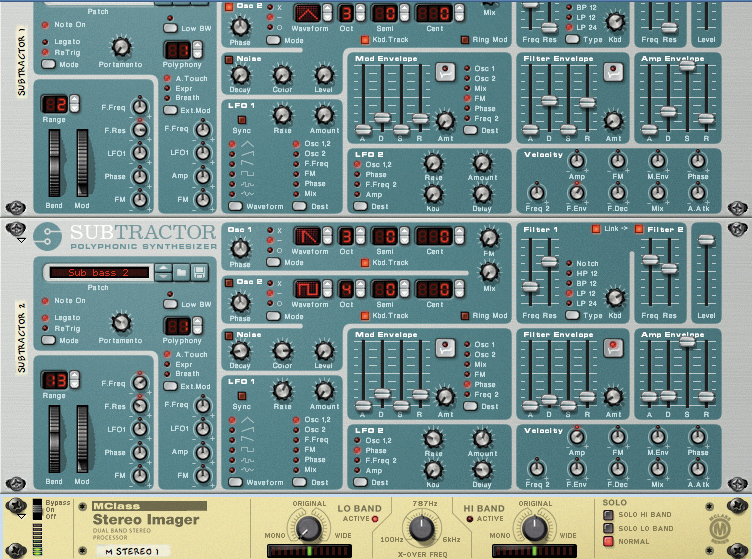 Unlike the synth basslines common to 80s pop tracks, house basslines need a lot more slide and groove, so one of the most important and useful controls in this respect on any synth or sampler is the glide function. You'll usually set this to generate a slight slide from note to note, but a lot of fun can be had modulating it in real time, too. Use EQ and envelope controls to stop your kick and bass clashing, as these are the two key elements of any house track. A very effective technique is to use EQ to make space in your kick drum for the frequencies of your bassline. It's also important to keep the decay and release of the kick short enough to not disrupt your bass. Try to keep heavy elements in mono - or mono-ise the lower frequencies of such sounds if you have a stereo tool that facilitates it. This keeps those elements punchy, particularly on a mono club system. Hi-hats and other toppy sounds, on the other hand, often fit better in a mix when they have some stereo spread applied. Always look to turn common techniques on their head. For instance, rather than always using the kick drum to duck the bassline, try setting it up the other way round, ducking the kick with the bassline. This particular example can have an interesting effect on a groove and really gel the two elements together for a phat, blended bottom-end. Experiment with mixing two copies of the same sound, or very similar sounds panned left and right, with slightly different processing applied to each. This can give real interest to a sound, particularly a real drum sample such as a clap or even a whole bongo riff, recreating the effect of a real (or unreal!) acoustic space. Combining sampled real instrument sounds (bass, drums and guitars, for example) with electronic ones, such as synthesised drums or synth patches, can create much richer sonic combinations than either alone. For maximum control you can then resample them together and shape the envelope and dynamics of the combined sound, blending them to make one rich noise. 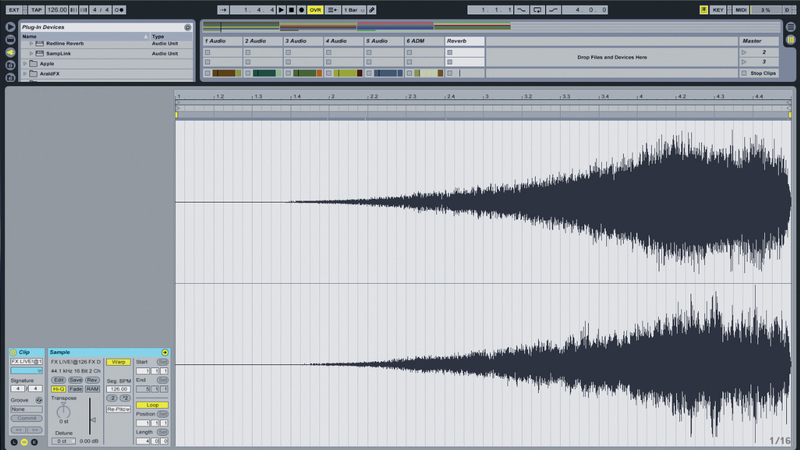 Reverse reverb can be used to create pumping tail effects on a variety of sounds, from drums to vocals. A variation of this is to record the reverb from a sound, then reverse it and place it on another channel underneath. This can then have additional processing applied, and sometimes the original sound can even be removed for a totally different effect. House music has always toyed with completely instrumental tracks - indeed, some of the all-time great and most recognisable house tracks have had no vocals - but it's far easier to remember (or discover) the name of a track if there's even just a single spoken word in there somewhere. So unless you're very confident in the individuality and memorability of your vocal-free arrangement and mix, do get some voices involved.